‘Kamisado Pocket’ is a travel version of Kamisado. The ‘dragon towers’ are replaced by high-quality, stone effect octagonal tiles. These tiles have the colour symbols engraved on one side, with these colour symbols repeated on the reverse side. The symbols on the reverse side have a circle engraved around them, to indicate that the tile becomes a ‘Sumo Tile’ when it is flipped over. The game is encased in ‘Clam Shell’ packaging. On first opening, just flip the board inside the clamshell. 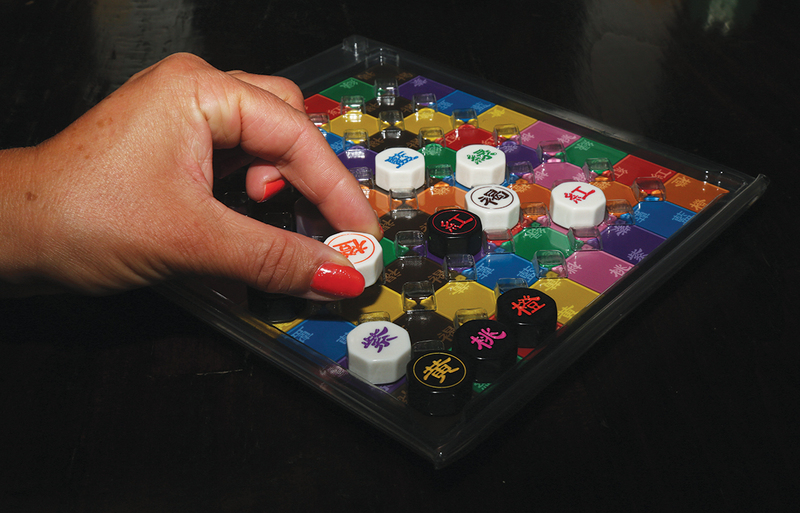 The game can then be used while travelling, with the ‘dragon tiles’ slotting snugly into the recesses (located directly above each space) in the clamshell, allowing you to play when you are travelling by car, train or plane. The tiles fit neatly into the recesses, without sliding around, and yet are easy to pick up and move from slot to slot. So you can take ‘Kamisado Pocket’, and play it, wherever you like! 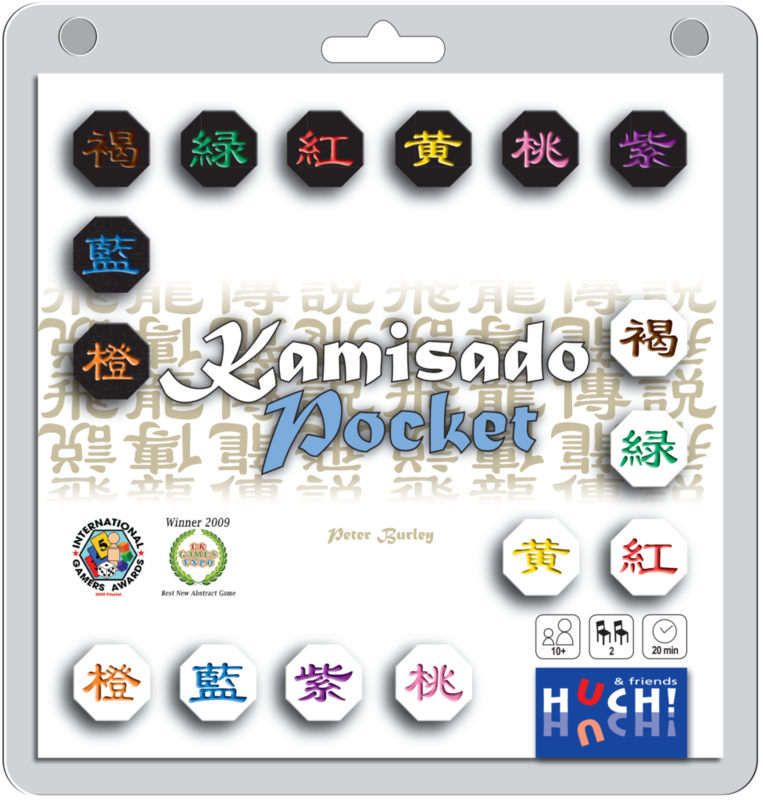 ‘Kamisado Pocket’ is a game for 2 players aged 10+ and lasts about 20 mins. Rules are provided in English and German. The board and pieces are language-independent. Click on the ‘Buy Now’ button to visit our new Online Shop!